Welcome to the area dedicated to architects, designers, and to all of those that, like us, share the project culture and believe that details make a difference. We have reserved for you an area where you can examine the products in detail, with technical drawings and pictures. Who doesn’t like having breakfast outdoors or enjoying the view from their balcony when staying at a hotel? 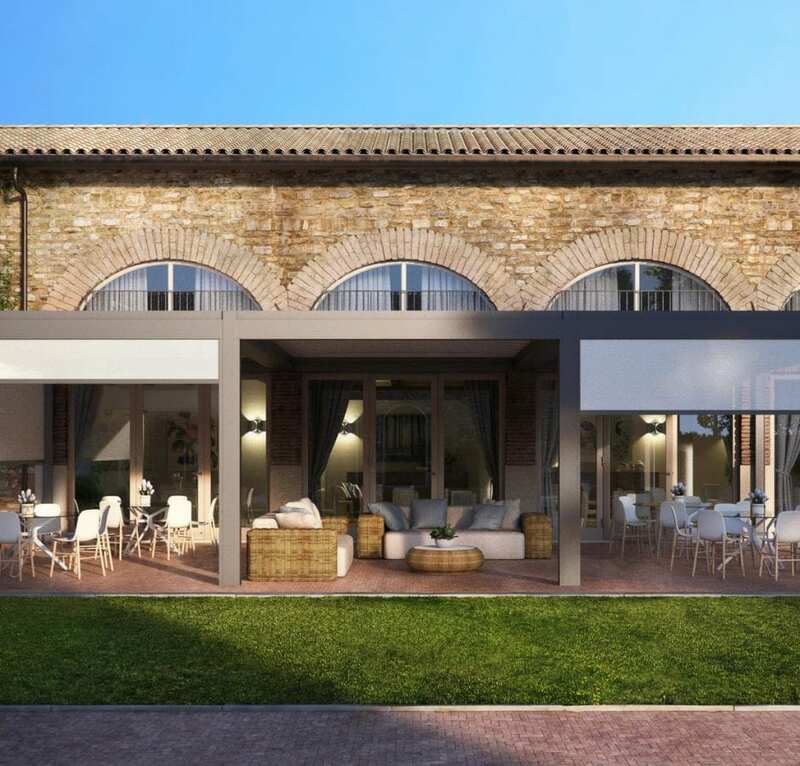 To meet these needs, Pratic offers a variety of sun awnings: from the classic dome, original patent of the Sixties, to the most recent T-Project models, a combination of design and technology at the service of hospitality facilities. Outdoor awnings, pergolas and covers for restaurants are advantageous solutions for using the outdoor space of your business every day. Thus, the beauty of having lunch and dinner in the open air while looking at the landscape is no longer just a summer prerogative, but an experience enjoyable anywhere, all year round. From breakfast in the open air to cocktails with a view, bar awnings and pergolas are ideal for allowing customers to enjoy your outdoor space, whether it’s the ground of a historic city, the rooftop of a skyscraper, or the panoramic terrace by the sea or in the mountains. Smart solutions for every day of the year. When the sun is blazing down and the temperatures are rising, often we close ourselves in the house, renouncing the pleasure of a terrace. 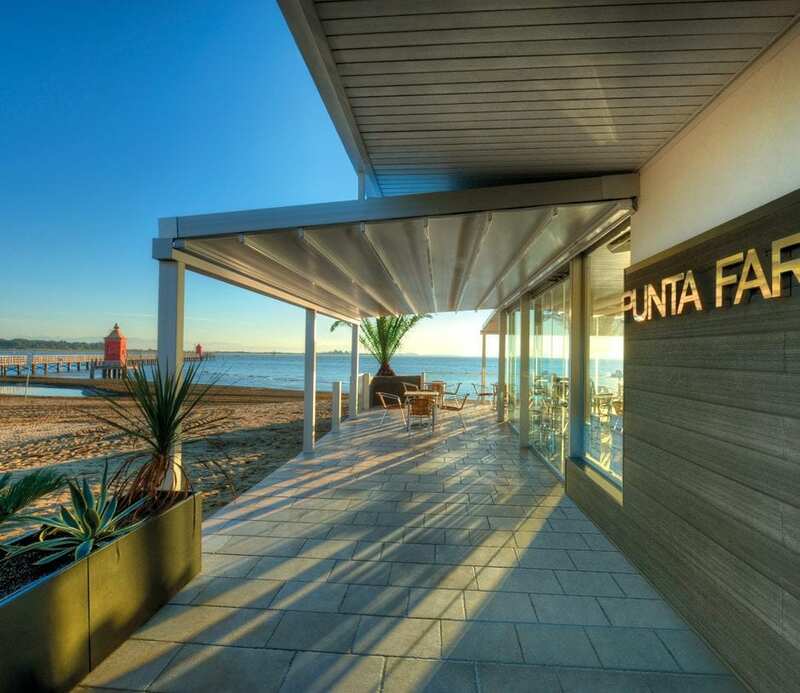 Pratic sun awnings are an efficient and versatile solution. Adapting to the most diverse needs, they shield the terrace from sun rays, ensuring shade and a decidedly cooler atmosphere. Whether it's a historic boutique or a modern concept store, a pastry shop or a wine shop, a bookshop or a gift shop, with the arrival of summer, every business has to deal with the sun. 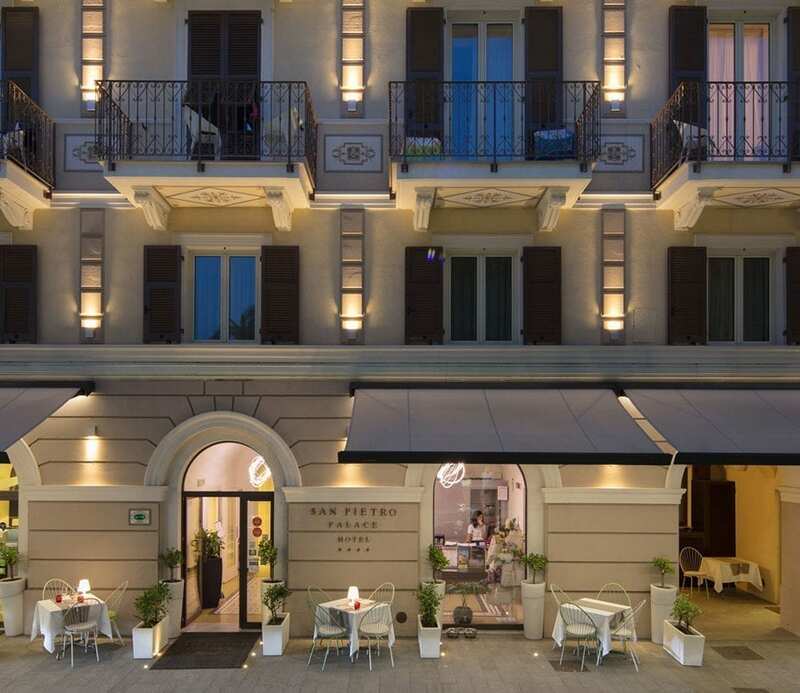 Awnings and domes are the ideal solution for shielding the windows from the sunlight, with advantages for the clientele but even more so for the operators. 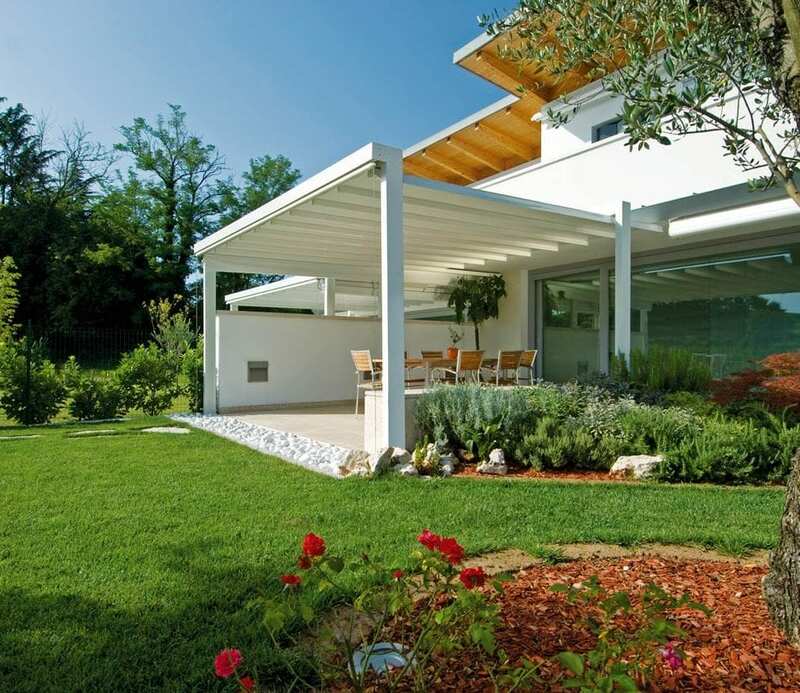 Advanced design, quality materials, a palette of colours and shades to choose from: awnings transform the garden into an open-air living area, enjoyable from the beginning until the end of the summer season. 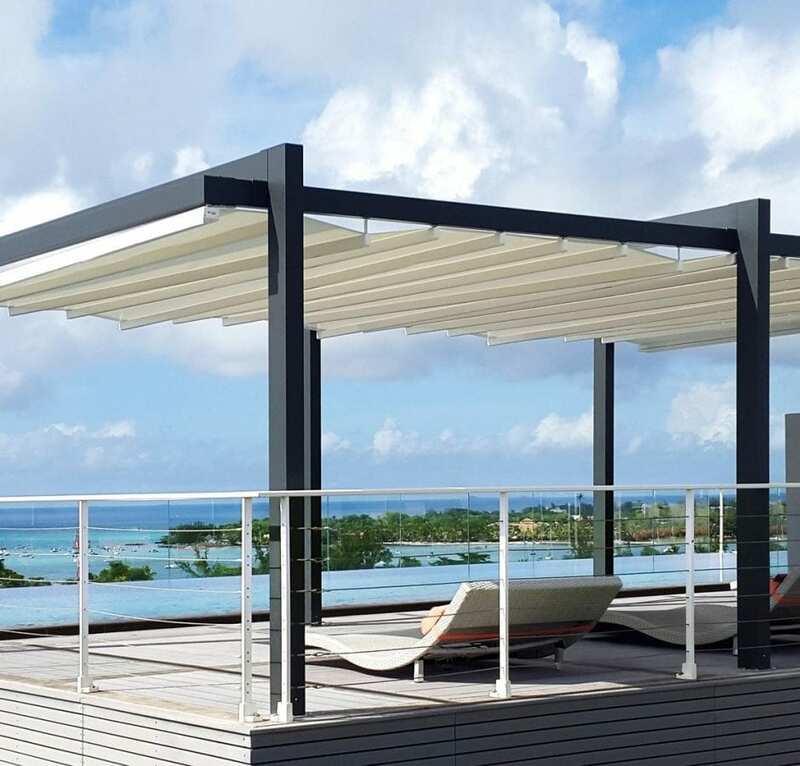 Pratic offers vertical drop-down awnings with a box and extendable arm awnings. Awnings are effective for shielding balconies from light and keeping rooms cool, almost like natural air conditioners. 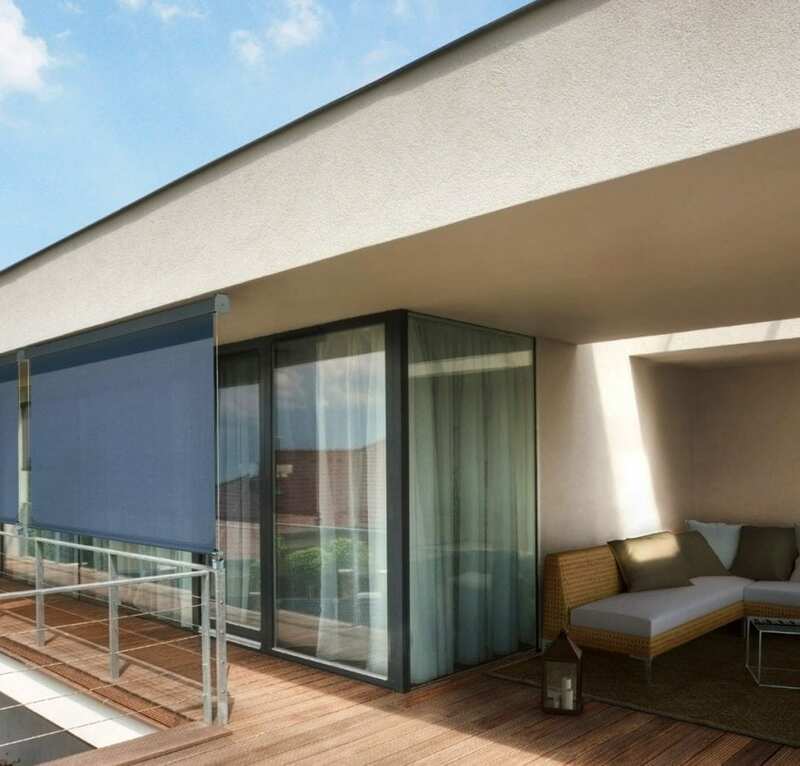 Vertical drop-down and dome awnings are the favourite models for those choosing to shelter their small-size balcony, and can be colour customized to harmonize well with any home environment. 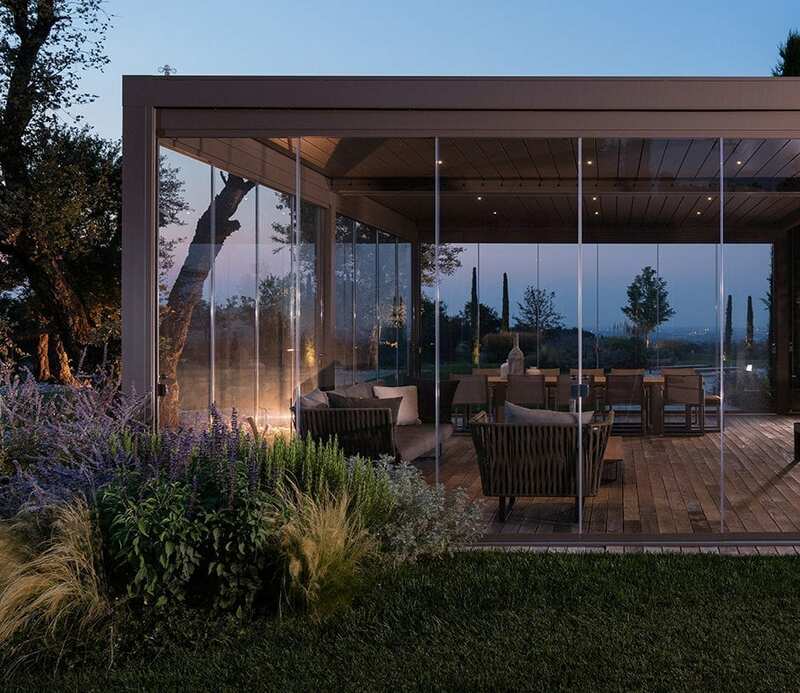 From the warmth of wood to the essentiality of aluminium via bioclimatic pergolas; real outdoor living enjoyable 365 days a year: Pratic presents its pergolas for terraces. Spectacular and technologically advanced, these pergolas and covers are the ideal solution for enjoying your garden at home. 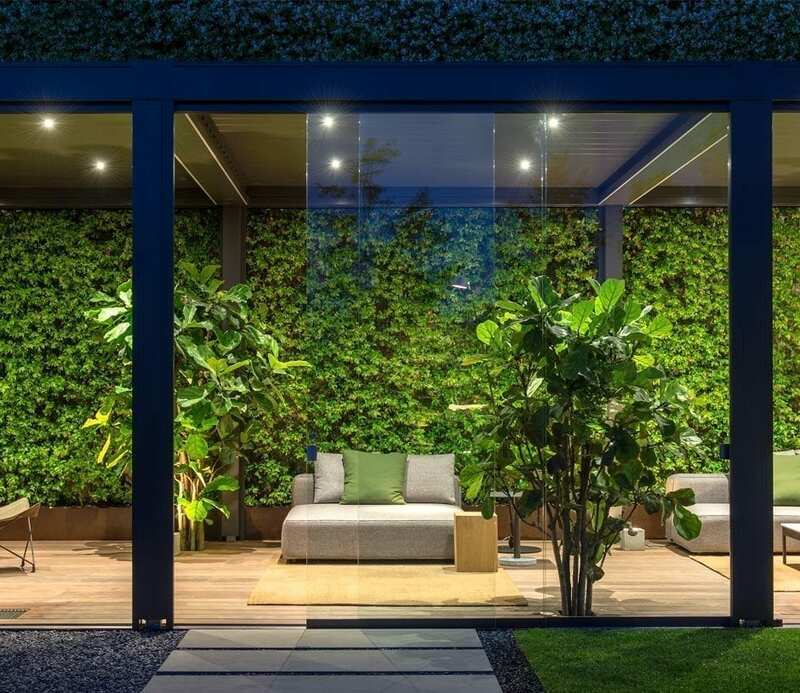 Indoor and outdoor spaces are now designed in continuity, for a new way of living in touch with nature.